The Nike Air VaporMax 2019 has had a pretty busy past few months, and now the Swoosh continues to add to its lineup with yet another new color option. Dressed in a Black, Wolf Grey, and Volt color scheme. This release features a Wolf Grey stretch textile and synthetic upper paired with Black overlays. 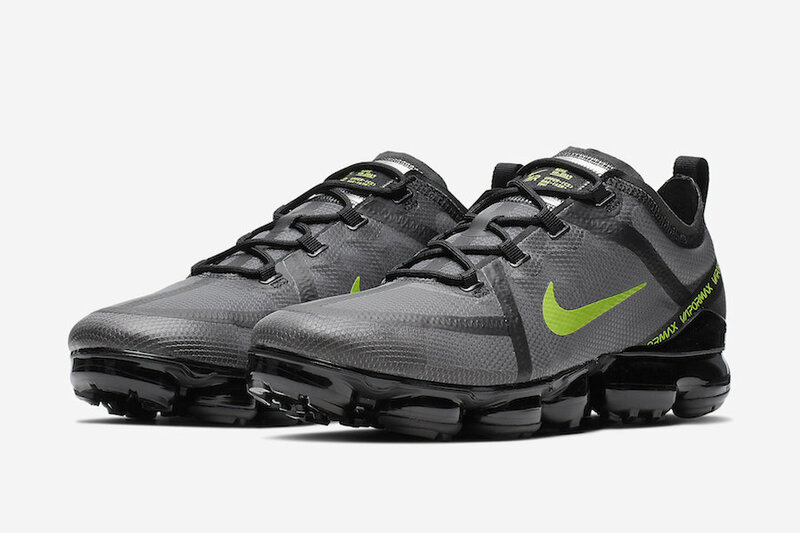 Highlighting the shoe are Volt accents on the tongue, insole, Swoosh logos and heel atop a Black VaporMax sole unit. Already available overseas, you can expect this Air VaporMax 2019 to release in the states very soon at select retailers and Nike.com. The retail price tag is set at $190 USD.